“The Insurance Company’s Worst Nightmare” – Glenda. H., a client. 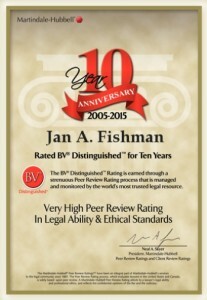 Jan A. Fishman is a lawyer with very special training and experience. Unlike most insurance denial lawyers, Jan actually worked in the “belly of the beast” for many years. Jan has been a lawyer for over 26 years, and acted for insurance companies for about 17 years. From 1995 – 2002, Jan was frequently retained by 5 different insurance companies (including ICBC) to defend lawsuits brought against them or their insureds. From 2002 – 2012, Jan was in-house counsel for The Manufacturer’s Life Insurance Company (“Manulife”), one of the world’s largest insurance companies, defending hundreds of lawsuits brought against Manulife’s various companies. In 2012 Jan founded his own law firm dedicated to helping disabled and injured people who have been wrongly denied insurance or accident benefits. Jan was so successful that in 2015 Manulife tried something it had never tired before. Manulife asked the Court to prevent Jan from ever acting against it. In McMyn v. Manufacturer’s Life Insurance Company, 2015 BCSC 2205, Manulife argued that Jan has special knowledge of their “business practices, litigation strategies, insurance policies and certain claims personnel” and it would be unfair to allow him to use this knowledge against them. Manulife had never before made this argument in court, even though some of its in-house lawyers in Ontario had previously acted against Manulife after leaving the company. This was also the first time that a Canadian life and disability insurer attempted to get such an order. The BC Supreme Court disagreed with Manulife and Jan is now free to act for disabled people with claims against Manulife, as well as every other insurance company in Canada. With the Court having found that there is public benefit in having Mr. Fishman at liberty to act in litigation adverse to Manulife, there is presumably public benefit in Mr. Fishman having the ability to communicate to the public that this is the nature of his law practice. Jan’s direct phone number is: (604) 682-0717; his email is: jan@fishmanlawyers.ca. Jan received his B.A. from Simon Fraser University and his law degree from Osgoode Hall Law School in Toronto. He was awarded the Governor-General’s Silver Medal in 1983. Jan became a member of the B.C. bar in 1992. Since 2005, Jan has consistently held a “Distinguished” peer-review rating from Martindale-Hubbell, and since 2013 he has consistently held a “Preeminent” client-review rating from that same organization, and was named as a Client Champion (Gold) in 2017 and a Client Champion (Platinum) in 2018 and 2019. 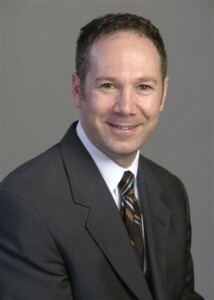 During his first 10 years of practice, Jan had a broad based litigation practice. He appeared as counsel for both sides in personal injury, family and criminal matters. Jan has appeared as counsel in over 65 reported or indexed decisions before all levels of Court and two administrative tribunals. He has argued a wide variety of issues involving insurance law; particularly long term disability, life insurance and personal injury. A twice-elected member of the Provincial Council of the Canadian Bar Association (“CBA”), Jan is a former President of the Abbotsford Bar Association, and a former Chair of the CBA Court Services Committee. He has been twice appointed to the Audit Committee of the CBA, and served 2 terms (the maximum permitted) as Chair of the CBA Resolutions and Bylaws Committee. He also served 7 years on the board of the Law Courts Inn, and is an active volunteer in the general community. Jan has judged UBC Law School Moots and the PLTC civil trial program, as well as writing for and presenting to professional organizations including the Continuing Legal Education Society of BC, Insight Information, and the Canadian Life and Health Insurance Association. In 2016 Jan joined the Editorial Advisory Board of the Civil Jury Instructions (“CIVJI”), the publication used by judges in BC to instruct juries in civil trials. Jan is a member of the Law Society of BC, the Canadian Bar Association, and the Trial Lawyers Association of BC. If you retain me, I will be YOUR lawyer. You will have me on your side every step of the way. I will personally handle every aspect of your case from start to finish. You will not be passed off to some junior associate, paralegal or law clerk. Your phone calls and emails will be promptly answered, as will your questions. You will be kept well informed during every step of the process. I don’t run a mill and I don’t do this work to make a fast profit. That means you will NEVER be pressured by me to accept some insurance company “low-ball” settlement of your claim. I don’t spend a fortune on advertising, but I’ll put my success rate up against all the other lawyers out there who do. There are bigger firms that you can use. But you won’t find a better lawyer or one who will give your case the personal attention that I will.